Many times, during every single day, all of us will use what is known as an Idiom. Idioms are words and phrases, which those of us with a native English tongue take for granted as we have grown up to recognise their meaning. That is despite the words being used having absolutely nothing at all to do with the context of a conversation we are having. For example if I explained I am writing this preface ‘off the cuff’, and with no preparation, you would immediately recognise it as an unprepared piece being written in one take, spontaneously and then left as it is (which, by the way, it is). But why do I call that ‘off the cuff’ when it has nothing to do with my cuffs or being either on or off them. Or if I suggested everything in this book was absolutely true, I can emphasis that statement by insisting every word in here is ‘straight from the horse’s mouth’. Again, we all know that means it has come directly from the source of information and is therefore reliable. But I haven’t got a horse. I have never spoken to one and unless I can find one that wins more often, even when I hedge my bets, then I might have nothing to do with any of the beasts again. Those little phrases appear in conversation all over the English speaking world, every minute of the day, and we take them for granted. And many of them have evolved from a particular event, or repeated events, or even perhaps a significant figure from history. There are thousands of them that have been covered in my books Red Herrings and White Elephants, Shaggy Dogs and Black Sheep or It’s a Wonderful World. 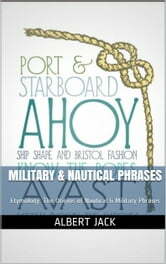 In this volume, however, we are going to concentrate only on those with a nautical or military history. I know you have heard many of them before and probably even use them regularly. Now, you are going to love finding out where they came from in the first place and how they became part of the rich English language. When we 'Turn a Blind Eye' it suggests we know what is going on and what is about to happen, but fail to take any action to alter the situation. 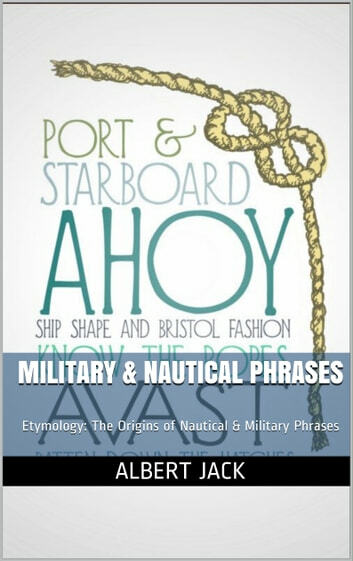 It is a phrase emanating from one of the most significant events in British naval history. During the Battle of Copenhagen, in 1801, the commander of the British Fleet, Admiral Sir Hyde Parker, watched as Horatio Nelson launched an attack on the Danish navy. At one point, Parker felt that the fleet was taking unnecessary risks and bearing unacceptable losses, so he ordered Nelson, via a series of flags, to disengage with the enemy. But when Nelson’s officers pointed out the order, he famously raised a telescope to his blind eye and replied: ‘Order, what order? I see no flags.’ Nelson then returned his attention to the battle at hand and soundly defeated the Danes. This was famously reported in The London Times as ‘Naval Hero Turns His Blind Eye to Orders and Wins Historic Victory.’ On his return to London, he was made a viscount and put in overall command of the Channel Fleet, which led to his defining moment at the Battle of Trafalgar in 1805.